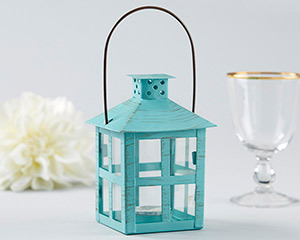 Rustic and romantic, Kate Aspen's Vintage Blue Distressed Lantern in a medium size isn't only for a Seaside wedding. 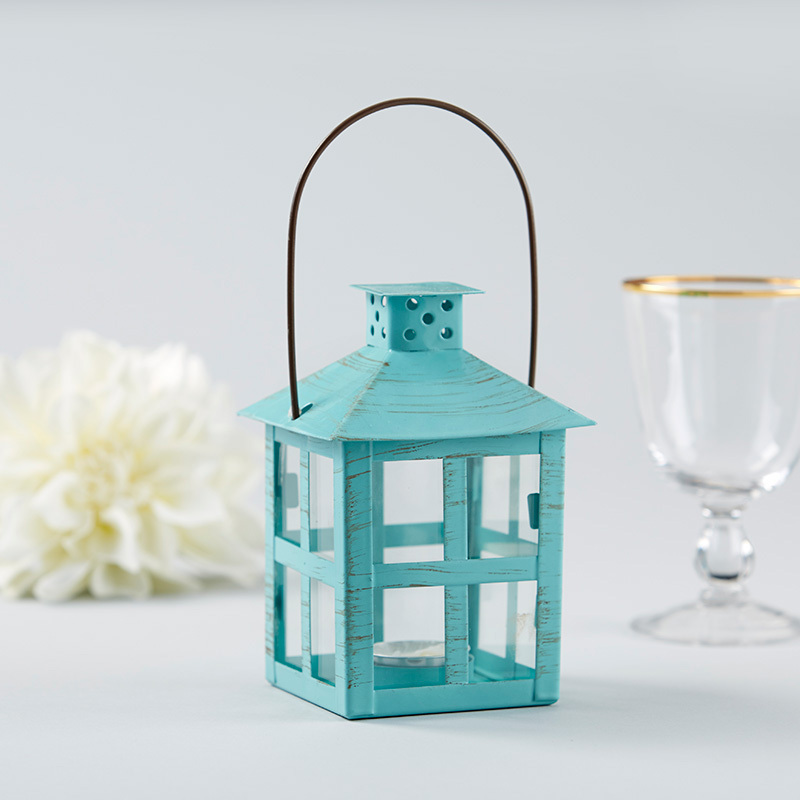 The genuine metal lantern holds a single included tea light and may be used to light the aisle, the reception, or the perimeter of any party with timeless elegance. With a versatile vintage look, this piece is perfect for home decor long after the party is over! 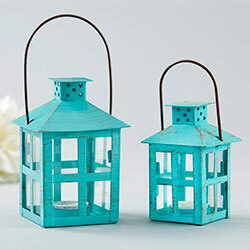 Vintage metal Seaside lantern with distressed blue finish and 4 glass walled panels. The top handle is removable for easy insertion of tea light. 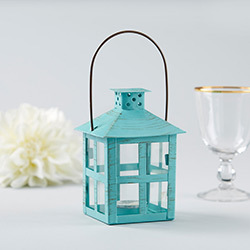 Lantern measures 3.9" w x 3.9" d x 5.5" h without handle | 3.9" w x 3.9" d x 8.3" h with handle.